Visit Any of Our 3 Locations! Over the years many cafes come and go, but Ephrata’s Javáteas has stood the test of time thanks to their loyal customers and brilliant coffee drinks and food menu items. 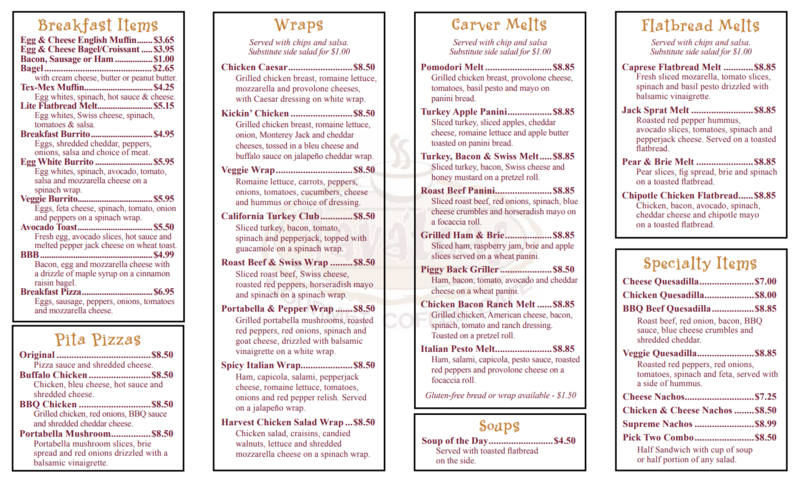 Located just off of 272, Javáteas serves seasonal cafe drinks and features and ever changing seasonal menu of paninis, wraps and breakfast items. Speaking of which, we have a constantly evolving list of monthly specials featuring some of our latest tastes: Javáteas Specials. 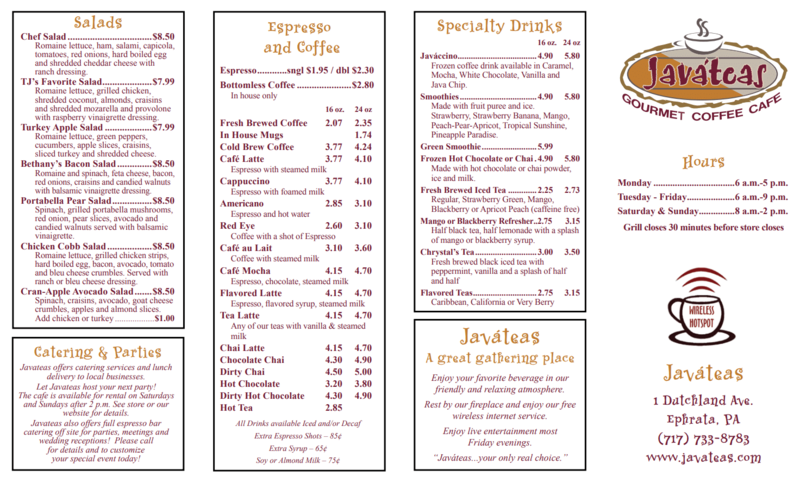 In addition to the 272 location, Javáteas has opened another location in the recently renovated Doneckers Building! 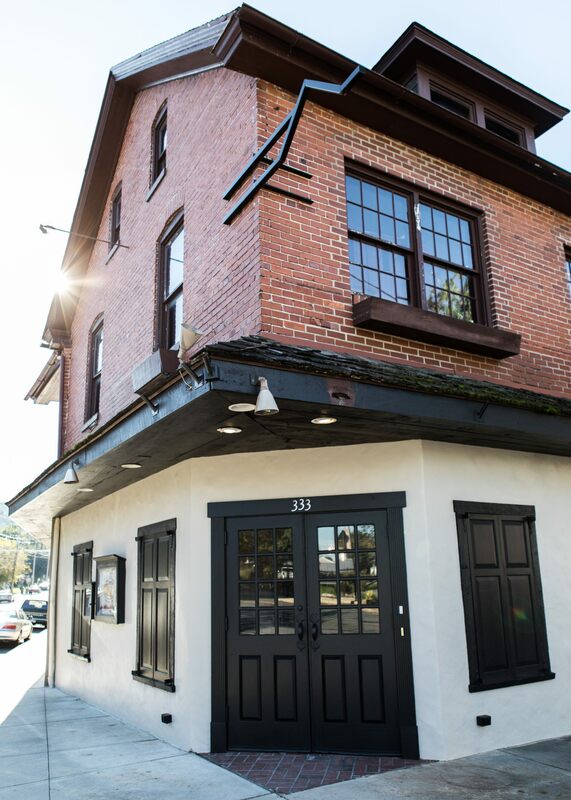 Our second location features a separate menu, different hours of business, and several rental locations for business meetings or family parties alike. Finally, don’t forget to visit Javáteas at the Wellspan Health Pavilion in Ephrata! We’re located on the first floor right near parking lot #4 and would be happy to serve you there! 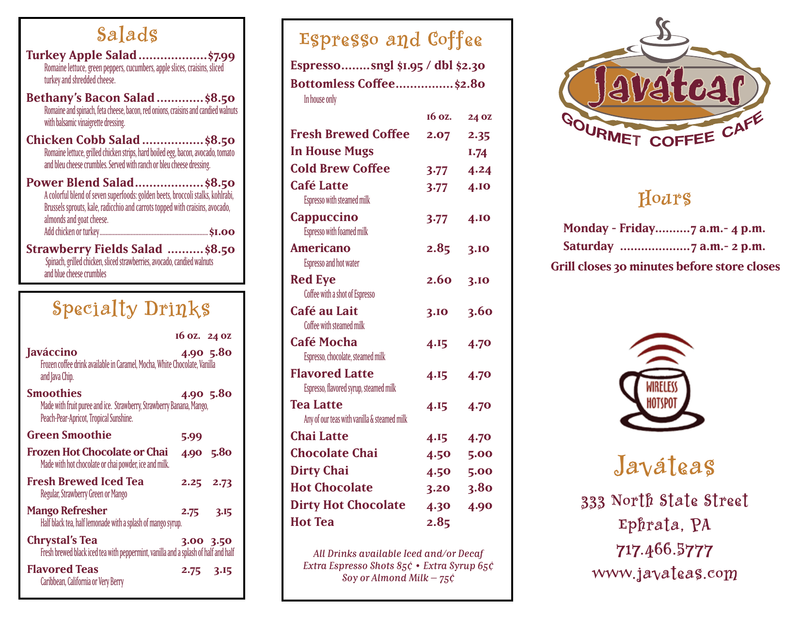 If you’re in the area with a need for coffee, a quick bite to eat, or looking for a location for your next business lunch, the staff here at Javáteas would be happy to serve you. In addition to great food and drinks, Javateas is a community place! We meet there with family and friends and have met many new friends there as well. The staff is great and has created a family atmosphere. Some of our favorites are the egg and panini breakfast sandwich and the vanilla marshmallow chai latte which is like Christmas in a cup – you won’t be disappointed! A great place to relax with a coffee or California iced tea. The salads are tasty and nutritious while fresh to the eye! I enjoy the frequent friendly banter with the baristas. Always an invitation to come back. Javáteas is hands down my favorite coffee shop and lunch spot in the area. I admit, I can be a bit of a boring coffee drinker. That said, the Javáteas flagship house blend (black, always black) is better than most other shops’ premium options. And when I am feeling adventurous and order something fancy (sometimes even just asking the barista to “give me something new”), it is always a quality concoction of tastiness and awesomeness. 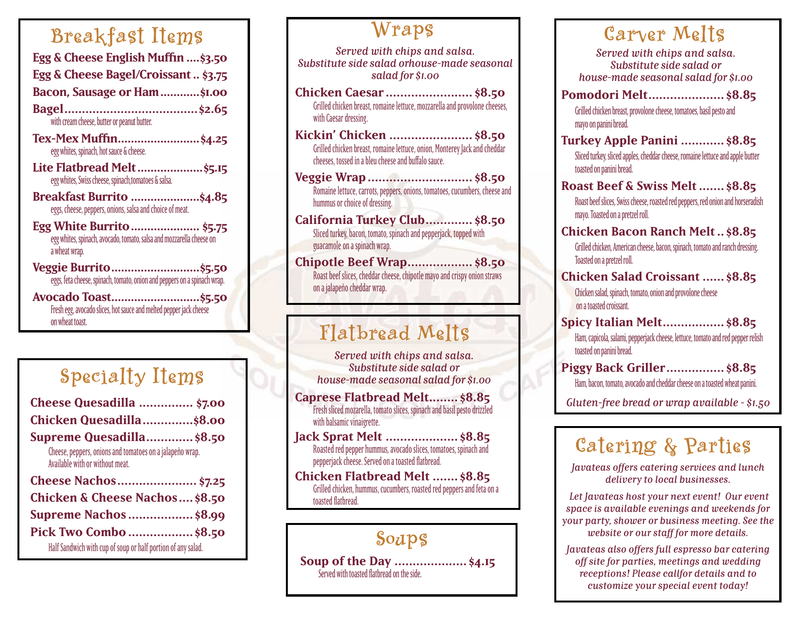 The breakfast and lunch menu is also robust beyond belief and I have yet to find a selection that was not phenomenal. Whenever I need to setup a business networking, client development, or just a family/friend outing, my go-to is Javáteas because I know the drink and food options will never disappoint, the atmosphere is casual and intimate, and the staff are top notch in knowledgeable and friendly service. Superlatives aside, Javáteas truly is a gem in our community. 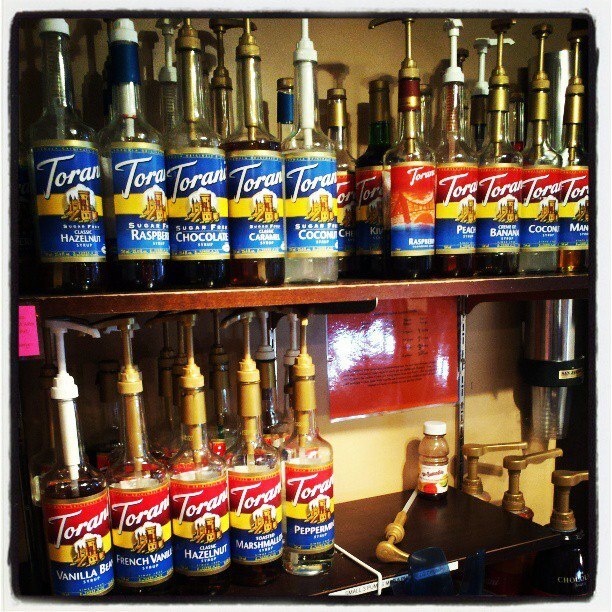 Punch up your next party, wedding reception or catering event with the Javáteas Espresso Bar! We’ll set up on your site and provide your guests with the same amazing coffee that used to only be available within the walls of our cafe. Also, if you’re in need of a location to host your special event, Javáteas @ Doneckers has you covered there as well! Our spaces are a great place for a birthday party, baby or bridal shower or other gathering! Grill closes 30 minutes before store closes.